At Loflin, our goal is to embody the central vision of A+ and provide innovative, highly engaging, and creative ways for students to grow as students, learners, and citizens. 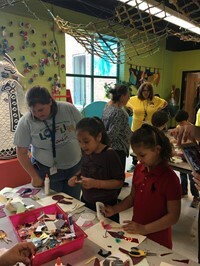 Through classroom-level arts-integrated lessons, field trips, collaboration projects with special area teachers, and quarterly “STEAM” days, our students get to experience learning in a fun and exciting way. 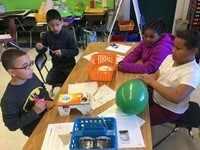 We also host after school clubs twice per year, with offerings such as dance, cooking, art, Lego building, computers, and many more!